W Dubai - the Palm has appointed specialist luxury travel PR agency Lemongrass Marketing to manage UK and Irish PR. The move follows a competitive pitch process. W Dubai – The Palm is set to infuse even more decadence into Dubai’s booming, multicultural culinary landscape following its opening earlier this month. With six beverage and food destinations, the property is set to become the place to be seen. 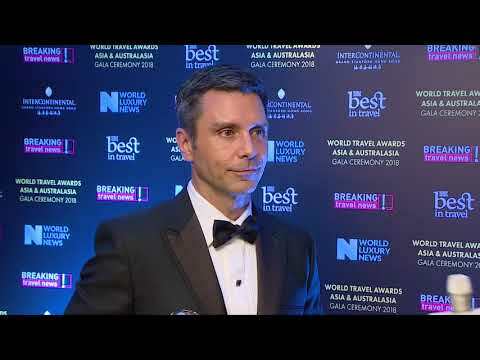 Walking away with the title of Hong Kong’s Leading Lifestyle Hotel, Peter Hildebrand, general manager of W Hong Kong, tells Breaking Travel News what the honour means to him. W Hotels has announced the opening of W Xi’an, the brand’s seventh hotel in Greater China and the largest W to open in Asia Pacific. Owned by Vanzhong Real Estate, the hotel is located in the Qujiang District, adjacent to Quijiang Pool Park. W Hotels Worldwide, part of Marriott International, has re-entered Australia with the opening of W Brisbane. Owned by Shayher Group, W Brisbane is a vibrant addition to the Sunshine State, situated in a stellar location overlooking Brisbane River.